If you want to see Koh Phi Phi as well as Koh Lanta, catching a ferry to Koh Phi Phi either from Koh Lanta or Phuket is the easiest and cheapest way to do it. How Much Do Phuket To Koh Lanta Ferry Tickets Cost? If you just want to catch the Phuket to Koh Phi Phi ferry, follow this link for timetable, prices and tickets. What Time Does The Ferry Depart From Phuket to Koh Phi Phi and Koh Lanta? 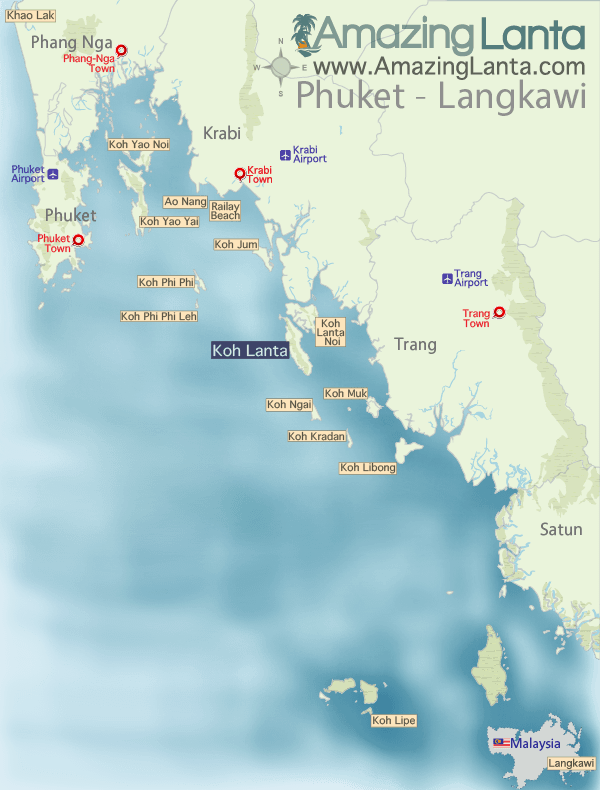 What Time Do The Ferries Depart From Koh Lanta and Koh Phi Phi to Phuket? 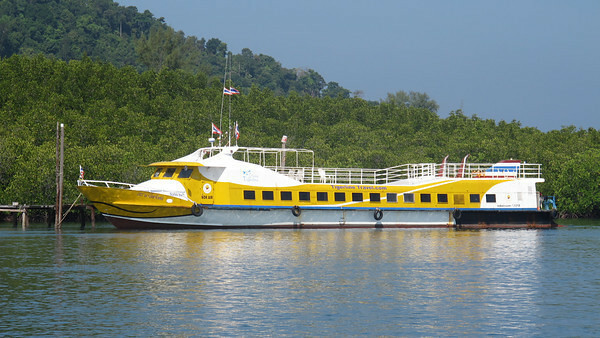 If you decide to stay in Phuket before catching the Koh Lanta ferry, pickup and transfer to the ferry terminal from your Phuket hotel is included in the ferry ticket price. (You can book Phuket hotels online prior to your journey – Rassada Pier is near Phuket Town, but you can stay in Patong, Karon and Kata Beaches and be picked up from there). See our Phuket Travel Guide for info on Phuket’s best beaches and Phuket things to do. You can also stay on Phi Phi for a few nights if you wish on your way to or from Koh Lanta. Don’t forget to book Koh Phi Phi accommodation in advance as the island is often crowded and hotel rooms scarce. It’s no fun lugging your backpack around looking for accommodation. See our Koh Phi Phi Travel Guide for info on Koh Phi Phi’s Beaches, Things To Do on Phi Phi and Koh Phi Phi Nightlife. It’s recommended that you should book your Koh Lanta accommodation in advance during High Season – especially the cheaper Koh Lanta resorts and hotels. You can also book a variety of villas on Koh Lanta – these can prove better value if you are a group travelling together. Do The Ferries Run In Low Season? Please note that during Low Season — May to November each year — some ferries stop running. These are usually the services later in the day ie if you plan to catch the early morning ferry you should be OK. During low season, you should check departure times with local travel agents and also that the weather is OK for the ferry to make the crossing. Is There A More Direct Route To Koh Lanta? Yes – the quickest way to get to Koh Lanta is to fly into Krabi Airport and then get a minivan transfer or speedboat transfer direct to the island.